I love posh crisps. Your average bag of Walkers just doesn’t do me, I always go for bags of crunchy, delicious Kettle Chips and don’t hold back! I’ve never been as keen on sweeter snacks so these big-flavoured, savoury treats do me perfectly. And the best thing is they’re great for sharing – there’s nothing better than a group of friends, a selection of dips (guacamole all the way!) and some good wine. Bliss. Steve couldn’t leave them alone long enough for me to get a photo! 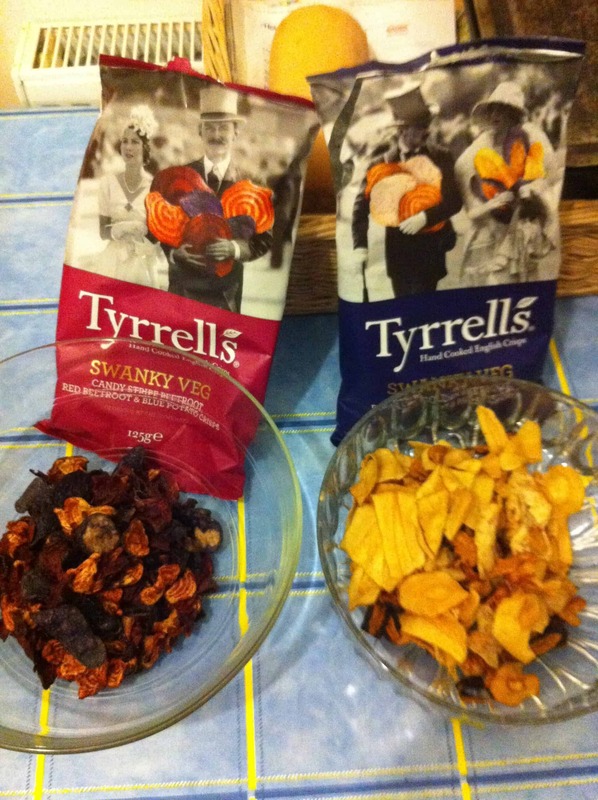 But I’ve been sent a few different samples of late and had some great finds in the supermarket, so I felt it would be a good chance to share with you some new discoveries in the gluten free crisp world. For big flavours, I normally love Cool original Doritos, but I have always, always missed the cheese flavour ones. 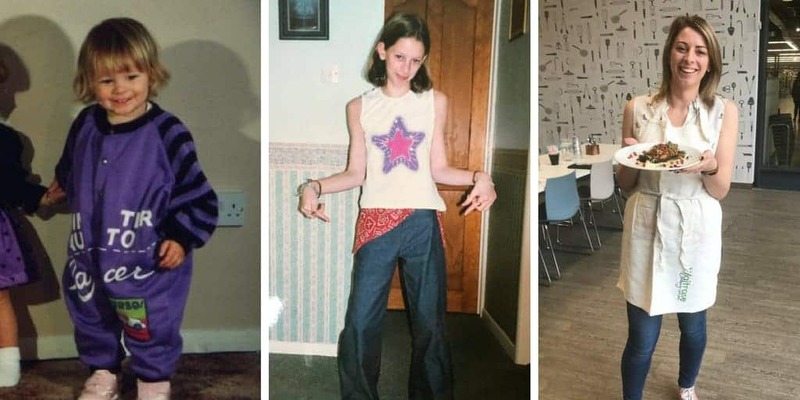 Now, my friends, there is hope. 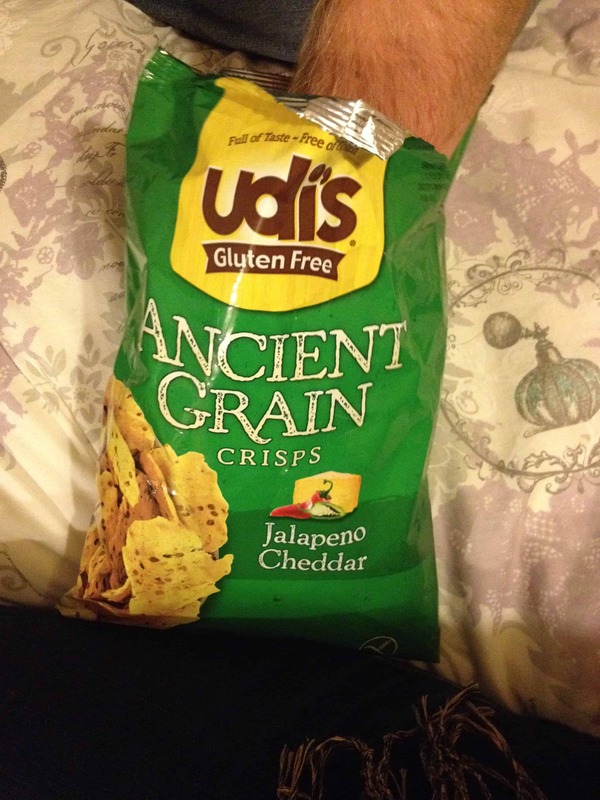 For I have been sent some Udi’s gluten free Jalapeno Cheddar ancient grain crisps and they are A-MAZING. They have all the cheese-tastic flavour that Doritos had, but with a bit of added kick! These would be so delicious as nachos, loaded with salsa, guacamole, sour cream and cheese. 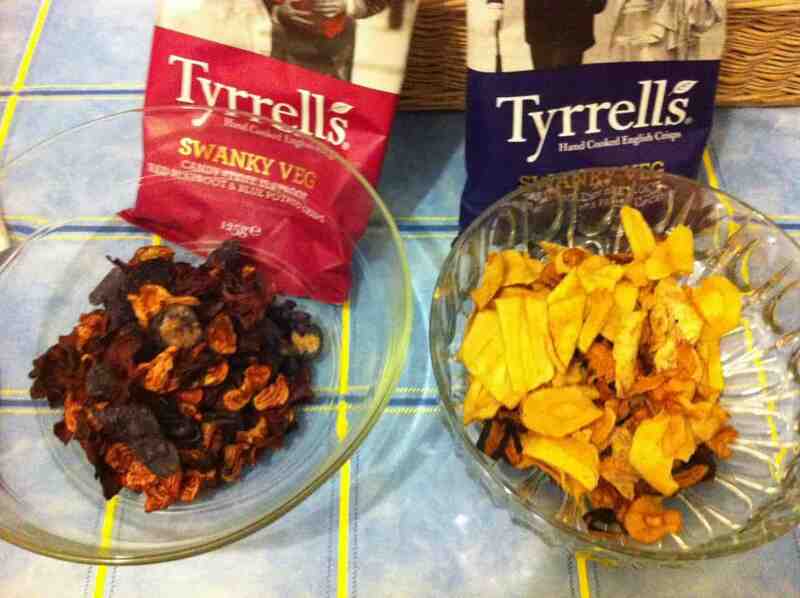 If you fancy something a little bit different, you could try Tyrell’s swanky vegetable crisps. All gluten free, these lightly salted crisps bring a whole new depth of flavour and make for a really interesting twist on an old favourite. Because they’re made with a range of vegetables including carrots, parsnip, and even the deliciously purple beetroot, they really stand out on any table of party food and it’s something to get the guests talking. I loved these with a sour cream and chive dip – but as they’re a pretty plain flavour they would go with most things. Another of my favourite crisps are Burt’s potato chips. I’ve written a post about these before and my campaign to bring back their amazing fire cracker lobster variety. But the rest of their flavours really do deserve a shout out of their own. Again, the whole range is gluten free and my favourites are the Pesto crisps. Whoever came up with this idea was actually a genius and should be given a big pat on the back. They really are as amazing as they sound and if you love pesto, you’ll love these! Speaking of pesto, Kettle Chips has also brought out a mozzarella and pesto variety. These are tasty but I probably wouldn’t rank them as high as the Burt’s ones. Having said that, Kettle Chips are the original and best in my eyes – their mature cheddar and onion ones are so moreish and if I open a bag of them they’re guaranteed to be gone very quickly! 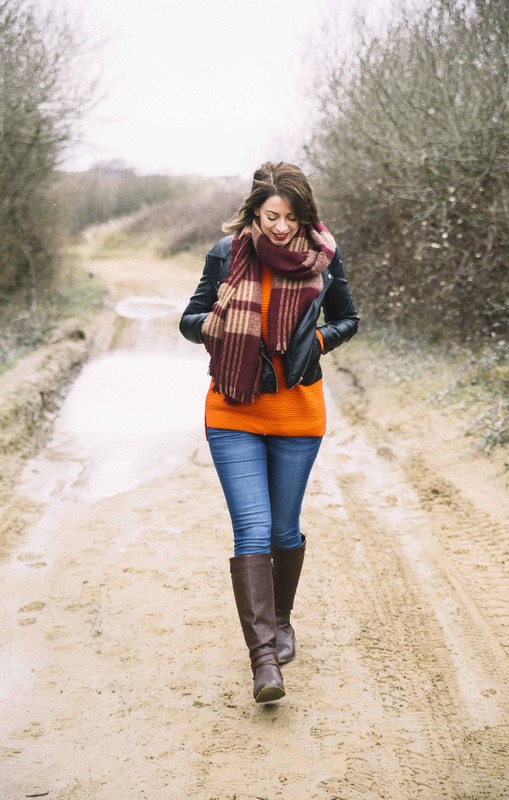 I know there are probably loads of other great gluten free varieties of crisp I’ve missed, so if you know of any crisps that deserve to be in this round up, give me a shout!